Officials in Souris were given no choice but to cut cables to the town’s iconic swinging bridge Sunday over fears it would rip out part of the community’s earth dike into the rising river. Cables to the bridge were cut at about 7:30 a.m., as the river’s crest is expected in the next few days. 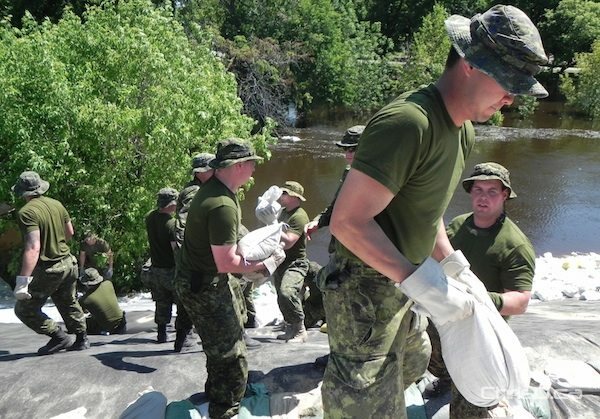 The Canadian military was called in Saturday to assist in raising the community’s earthen dike, and to help shore up other areas with sandbags. An additional 175 soldiers from CFB Shilo were brought in Sunday, on top of the already 200 soldiers already in place. 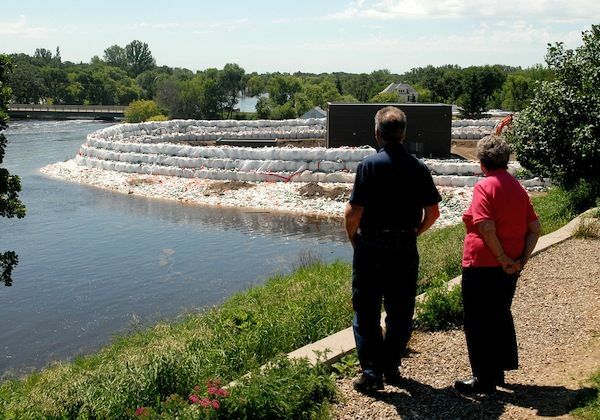 The rising Souris River continues to be a challenge for residents, who have been working since April to protect their properties from the rising waters. Over the weekend, Manitoba Premier Greg Selinger toured the area to get an up close at what the community has been dealing with. Souris’ bridge was nearly 600 feet long and was originally built in 1904. ← Can You Find a Home for This Pooch?